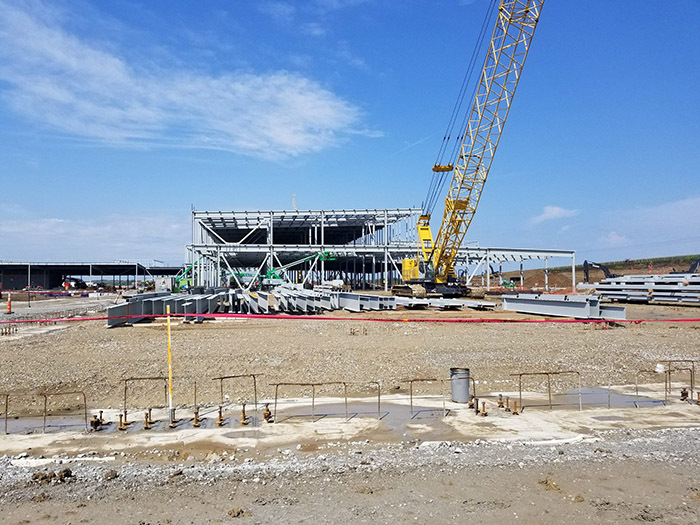 Construction continues at Facebook's Sarpy County site. Photo courtesy of Facebook. On March 19, 2018, Facebook announced an expansion of their planned Nebraska data center. It will now be three times the size at the time of its initial announcement. The Papillion data center will include six buildings instead of two, with groundbreaking for the additional buildings set to begin in May. In April 2017, Facebook announced a plan to build its next data center in Sarpy County. They credited OPPD’s Rate 261M as one of the biggest draws. In October 2017, Facebook announced the site of a new wind energy facility in northeast Nebraska to provide power for the data center. The 320-megawatt Rattlesnake Creek Wind Project is located in Dixon County. 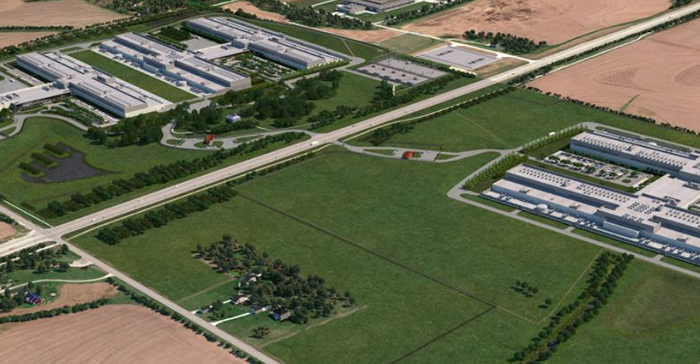 Facebook’s said the data center campus will be more than 2.6 million square feet. The buildings will be completed in 2023. The expansion means thousands of construction jobs for the area and hundreds of operational jobs. OPPD officials have said data centers are great projects for the area, as they provide large, steady load. 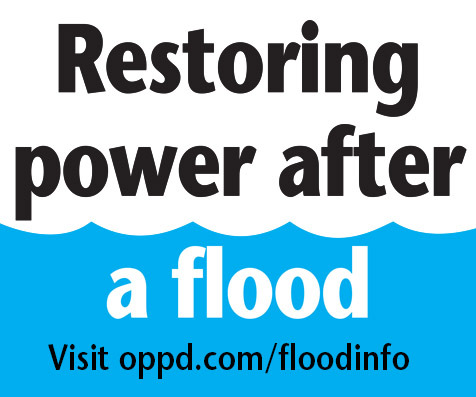 OPPD’s work includes a substation expansion and construction of a new transmission line to help power the area. Facebook is the first customer to take advantage of Rate 261M. OPPD continues to see interest from other companies large enough to qualify for the rate. Where in Papillion, NE is this Facebook center going to be located?